UPDATE 12/25/2015: Things To Do in Petaluma CA for Eve of 2016 New Years Celebration. 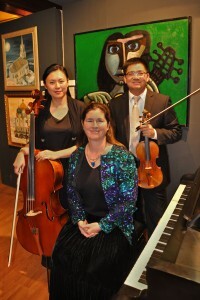 The Petaluma Museum hosts its sixth annual New Year’s Eve gala from 7pm to 10pm. Celebrate with a concert by violinist Yun Chu, cellist Shu Yi Pai, pianist Elizabeth Walter and Nancy Severance on viola will perform selected works of Beethoven and Dvorak. Petaluma Creamery and Russian River Vineyards’ fine wines and cheeses will be served complimentary. Guests also have the option to purchase preferred tickets with “elite beverage service.” Prices go up as the event nears. $35–$70. 20 Fourth St., Petaluma. 707.778.4398. 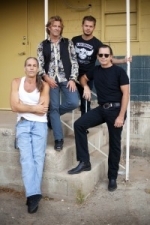 Get bluesy this New Year’s Eve with Tommy Castro and the Painkillers at the Mystic Theatre in Petaluma ($41). This guitar-driven blues band is known for putting on a great show, and there will be a special guest performance with Keith Crossan and Nancy Wright. 23 Petaluma Blvd. N., Petaluma. Doors at 8pm; shows starts at 9pm. 707.765.2121. 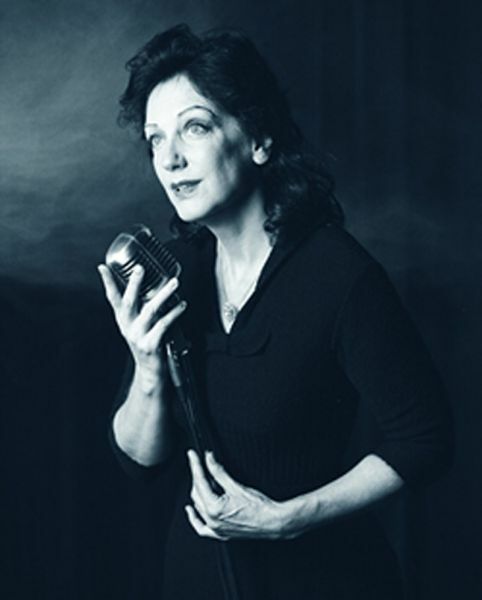 For something different, explore the life and times of Edith Piaf in Cinnabar Theater‘s play Edith Piaf: Beneath Paris Skies. This performance recreates Piaf’s unlikely road from the brothels of Paris to stardom in the 1930s. Musical accompaniment by a five-piece band completes the experience. On New Year’s Eve only, enjoy desserts before the show, party favors and a Champagne toast at midnight. $55–$65. 3333 Petaluma Blvd. N., Petaluma. 707.763.8920. New Years Eve Bash~ Zodiacs New Monsoon & The Incubators -Wednesday, Dec 31st, 2014 San Francisco rock quintet New Monsoon is the collaborative vehicle for the vocal and instrumental prowess of founding members Bo Carper (acoustic guitar and banjo), Jeff Miller (electric guitar) and Phil Ferlino (keys). Now well into its second decade of national touring, the band also features the muscular rhythm section of Marshall Harrell (electric bass) and Michael Pinkham (drums). 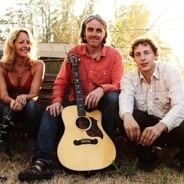 New Monsoon’s exhilarating blend of acoustic and electric instrumentation shines in an irresistible blend of sophisticated song craft, inventive musical exploration and down home rock-n-roll. 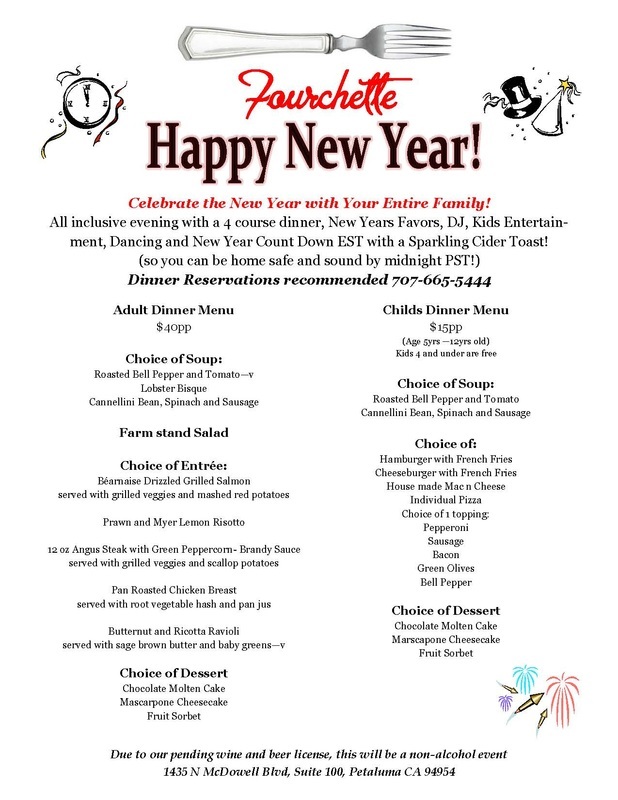 Family New Year’s Eve Dinner & Party at Fourchette, 1425 N. McDowell Blvd., Suite 100, Petaluma, CA 94954 We’ll be serving an all-inclusive: 4 course meal, Kids Meal, DJ, Dancing, New Year’s Party Favors, family games and more! Reservations are suggested… Dinner will be served from 5pm – 8pm (last seating) … dancing until 10pm! Call: 707-665-5444 for Reservations $15 for children and $40 for adults and children 4 and under are free. Ring in the New Year with Petaluma Active 20-30 #30 at Mario & John’s! 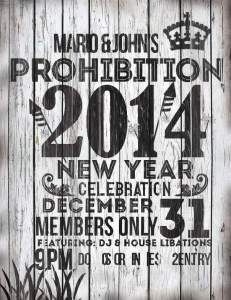 Mario & John’s Prohibition 2014 New Year’s Eve Celebration is taking place on December 31 starting at 9pm and includes a DJ & house libations. Tickets are $20.00 and can be purchased at Mario & John’s. A percentage of the sales will be donated to our club’s children’s charitable fund. Come join us for a fun night! With the official launch of the Petaluma Bounty Penny Harvest for 2015, you can help the Bounty provide healthy food for all. Buffalo Billiards is hosting a New Year’s Eve PENNY HARVEST. 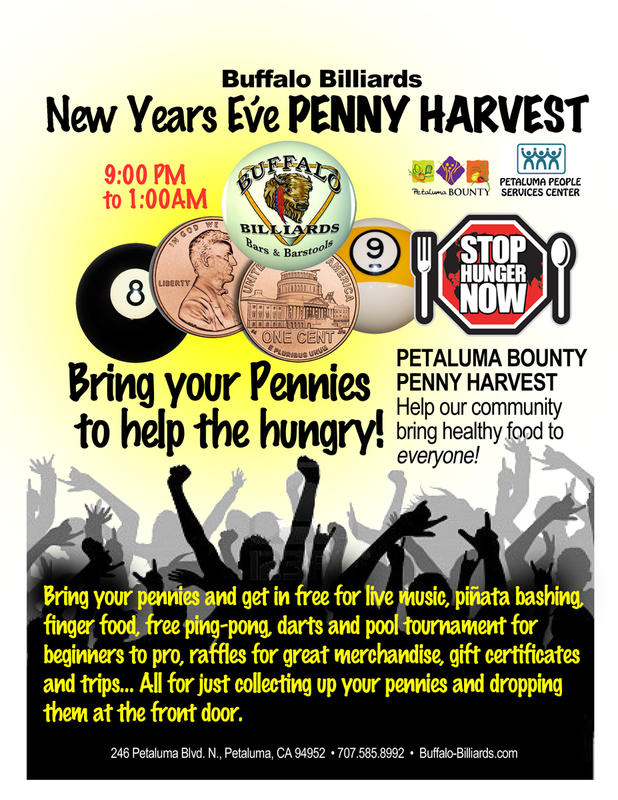 Harvest up all the pennies you and your friends have and bring them with you on December 31, from 9:00 PM – 1:00 AM, 246 Petaluma Blvd. North, Petaluma.